The readers of NK News are probably familiar with the problem: sometimes you open an English book on North Korea, look at the sources section, and find that none are in Korean. In fact, it is not uncommon to see a thesis, article, or monograph based solely on English sources. Needless to say, the quality of such works is normally not high. Theoretically, if every text written and every word spoken in Korean could be flawlessly translated, then, indeed, possessing command of Korean would not be necessary. But, unfortunately, this is unlikely to be the case until humanity invents a universal translator. Instead, there are manual translations. When working with translated texts, one faces both qualitative and quantitative problems. In other words, many things remain untranslated, and many available translations are quite flawed. This is fully applicable to the North Korean case. The following breaks down both problems, including surrounding the field of DPRK state ideology, where translation-based analysis often appears with truly substandard results. The first problem is that an overwhelming majority of North Korean texts is never translated to English. Most of the DPRK laws, for examples, never are, including most editions of the Penal Code, which, officially, defines what constitutes a crime in the DPRK. Of course, when it comes to intelligence work – like working with classified sources – it goes without saying that they do not come with an attached English translation. 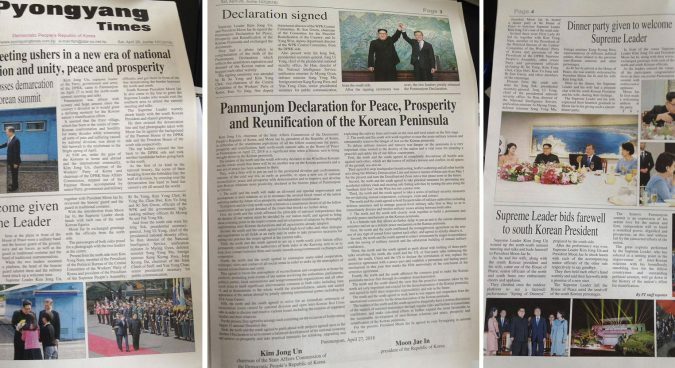 As for North Korean newspapers, while there is an English site for Rodong Sinmun (the quality of these translations is discussed below), other newspapers do not. For example, Kyoyuk Sinmun, read by North Korean teachers, remains unavailable in English, as is Choson Sinbo – an organ of the General Association of [North] Korean Residents in Japan (Chongryon), through which the DPRK sometimes conveys its semi-official message to the world. One of the major sources of knowledge for a North Korean would be encyclopedias, but these, too, lack translations. 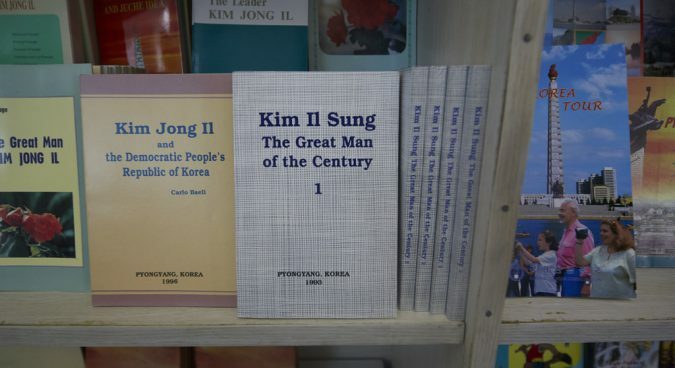 Neither the “General Encyclopedia” of the 1980s, nor the “Big Korean Encyclopedia” and “Kwangmyong Encyclopedia” of the 2000s, nor the Korean Central Yearbook, annually published in the DPRK, were ever translated into English. Economic statistics occasionally included in these are, naturally, also unavailable in English. 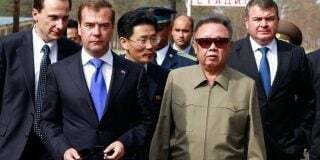 North Koreans are supposed to read and learn from the collected works of Kim Il Sung and Kim Jong Il. The situation here is better, as the DPRK does translate these. However, only a few volumes of the 100-volume “complete collection of Kim Il Sung works” have been translated into English, and translation of the “complete collection of Kim Jong Il works” has not even begun. 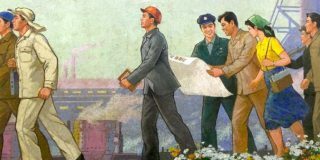 The entirety of North Korean literature – which affects the worldview of most, if not all, North Koreans –was, with the exception of a few novels, never translated into English. Of course, the same goes with all technical literature as well, and thus, if one would like to read the work of a nuclear physicist from the DPRK, one would have to learn Korean. 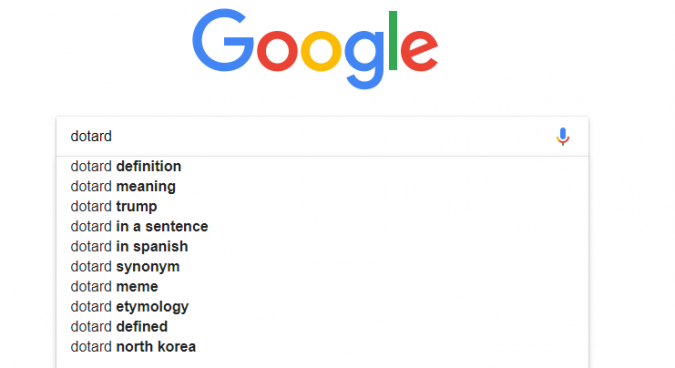 To summarize: no quality political, historical, or cultural research on North Korea is possible if one does not read Korean, and economic and foreign policy research may end up being flawed without Korean language sources. The second problem has to do with the quality of translations. Likely the best research on this issue would be the columns of Martin Weiser (1, 2), where the German scholar provides numerous examples of incomplete and incorrect translations in official DPRK publications in foreign languages. Weiser’s research can be further substantiated with additional examples. One of the most famous phrases coined by North Korea was calling President Trump a “dotard.” This was a truly ingenious translation, as it alliterated with the President’s name, “Donald.” This led to the word “dotard” becoming a meme, with parody accounts like “realdotardtrump” being created on Twitter. In short, from Pyongyang’s point of view, “dotard” was a brilliant translation. The problem, however, was that it was not a very accurate one. The phrase Kim Jong Un used when he swore at the United States’ president was “nulktari michigwangi” (늙다리 미치광이), literally ‘old madman.’ In other words, it did not have all the connotation of an archaic swear word that “dotard” had. 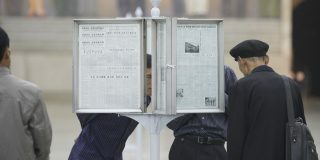 In another example, there has been much talk about how the DPRK press likes to write “north Korea” and “south Korea,” without capitalizing “north” or “south.” The Korean language does not contain the concept of capitalized and non-capitalized script, and, interestingly, this rule is only seen in English publications. DPRK publications in other European languages obey capitalization rules: Corée du Sud in French, Южная Корея in Russian, and Corea del Sur in Spanish. 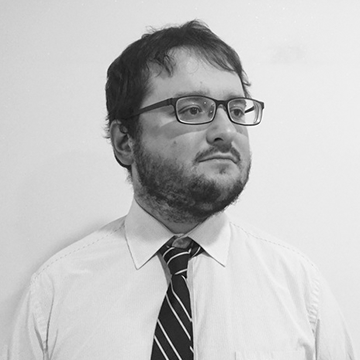 Moreover, some aspects of North Korean ideology and culture can be obscured in translations. For example, the Korean language also has two words for “comrade” – tongmu (동무) and tongji (동지). In modern Korean, the former is used to address an equal or a subordinate, while the second one is used to address a superior. 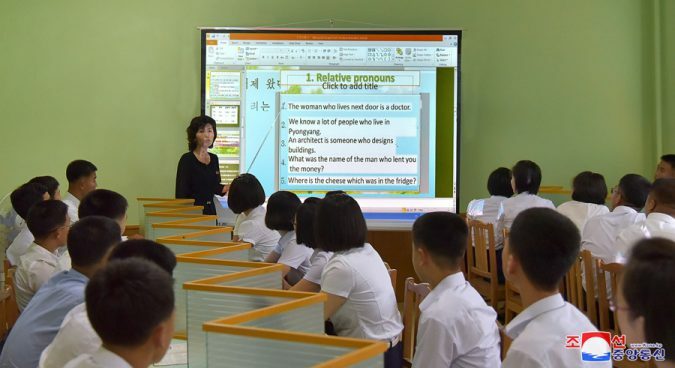 I once directly asked a graduate of the Pyongyang University of Foreign Languages how they deal with this problem, and the answer was: “Normally we do not.” Thus, this entire aspect of the DPRK ideology disappeared from translations. In short, the rule of thumb should be that translations should not be trusted and one should re-check them if there is an original available. One particular topic which attracts English translation-based research is the DPRK ideology, propaganda, and personality cult. In one example, the Wall Street Journal published an “analysis” of North Korean usage of swear words in 2017. Such research is flawed on almost every level, as most nuances of DPRK propaganda are never properly relayed into English. Let us begin with the most obvious: titles of the Kim family. One of the most well-known of this is the word “Leader.” The problem is that this word is used to translate three completely different Korean words: suryong (수령), ryongdoja (령도자), and chidoja (지도자). Suryong was and is the title of Kim Il Sung; chidoja was a part of Kim Jong Il’s title until December 1994, and ryongdoja was the standard title of Kim Jong Il since then and is a part of the standard title of Kim Jong Un now. None of these differences are shown in English. In another example, the standard title of Kim Jong Un is “Beloved and respected Supreme Leader” (kyongaehanun choego ryongdoja 경애하는 최고령도자). North Korean state media, however, normally translate this as “respected Supreme Leader,” despite the word kyongaehanun literally consisting of the syllables “respect” (kyong 경/敬) and “love” (ae 애/愛), and thus being different from the actual word “respected” – chon’gyonghanun 존경하는 – which is the standard title of Ri Sol Ju. Speaking of Ri Sol Ju, this April saw her getting her own public personality cult with the title “Respected Lady” (chon’gyonghanun nyosa 존경하는 녀사). 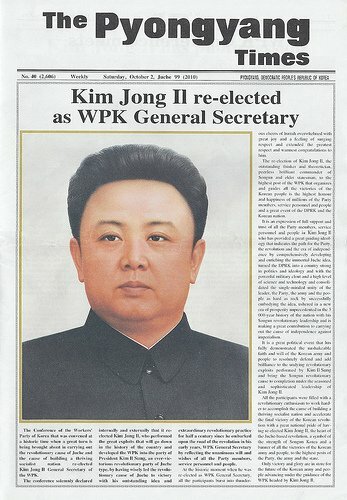 However, in English, one could only see a rather innocent message about the “First Lady” of the DPRK. Thus, the most important change in the North Korean personality cult in years would simply not be detected by an English-only researcher. In fact, this mistranslation is part of an interesting pattern which started from roughly the mid-2000s, when the DPRK started to downplay the personality cult in some translations. 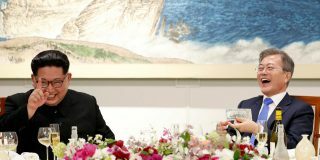 For example, while an English message may say “Kim Jong Un Meets U.S. Secretary of State,” the Korean one may be, “Beloved and Respected Supreme Leader comrade Kim Jong Un met the Secretary of State of the United States of America” (경애하는 최고령도자 김정은동지께서 미합중국 국무장관을 접견하시였다), where the original expression “Beloved and Respected Supreme Leader” is completely left out. Another aspect of the personality cult is an alteration of the normal word order in a sentence. The normal word order in the Korean language is subject-object-verb (e.g. “Mother a child hugs” 어머니가 아이를 껴안다). However, when the object is one of the Kims, the DPRK violates this grammatical rule by putting the Kim in front (e.g. “to the Beloved and Respected Comrade Kim Jong Un the Ecuadorians a gift presented” 경애하는 김정은동지께 에꽈도르인사가 선물을 드리였다). Of course, this is never done in translations. Another similar example is in the grammatical case, as seen in the respectful case forms attached to the Kims. Common to flective (like Russian) and agglutinative (like Korean) languages, this grammatical aspect does not exist in English, and thus it would be impossible to properly convey in English. The same problem applies to affixes. The Korean language has an affix –si– (-시-), which is attached to a verb to convey respect for the sentence’s subject. In written texts in the DPRK, these are normally reserved for the Kims. However, in March-April 2018, these affixes were, in a highly unprecedented way, used to refer to Xi Jinping, but, notably, were absent from an official report about the second Xi-Kim summit. While a Korean-reading analyst could have noticed this, analysis of English sources would have yielded nothing. There are plenty more examples, but hopefully these are enough for us to conclude that any attempt at qualitative – and, especially, quantitative analysis of the personality cult based on translation – would simply be a waste of time. The saddest part about this column is that it actually had to be written at all. In most fields of humanities, language skills are considered a natural prerequisite. It seems impossible for there to be a specialist on the Quran without Arabic skills, or a professor of French literature with no command of French. But, unfortunately, the standards remain remarkably low in Korean studies. Even cases of Charles Armstrong, who used fake sources in multiple academic publications, and Toshimitsu Shigemura, who repeatedly supplied the public with utter nonsense on North Korea, were not enough even to push the universities who employ them (Columbia in case of Armstrong and Waseda in case of Shigemura) to at least provide the public with some kind of response. Thus, when even enforcing the most basic ethical standards in top-tier universities is problematic at best, one cannot really hope for Korean language skills becoming a mandatory qualification for analysts, though it should be. For the foreseeable future, it seems that substandard English-only analysis is not going to disappear. Subscribe to read the remaining 1790 words of this article.